Spain's Juan Miguel Suay Belenguer found this postcard on eBay in 2008. 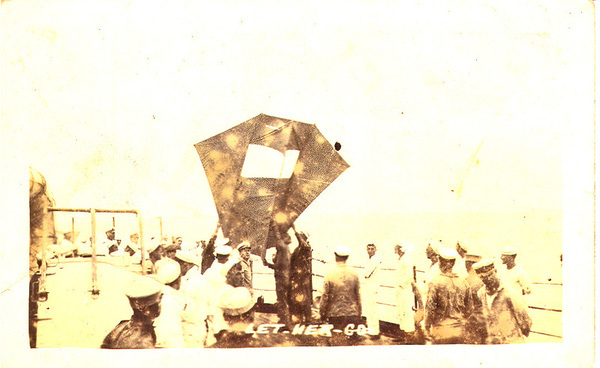 It depicts the launching of a Delta-Coyne style kite, apparently for use as a gunnery target. part of a 100 card cruise album. 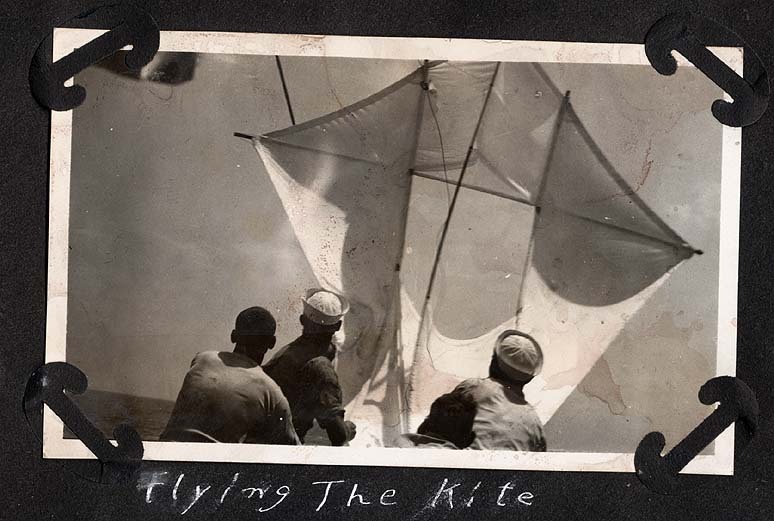 Juan followed up with more research and found other pictures of this style kite on board ships. "Views we have taken on board and close to USS Maryland (Armored Cruiser #8, renamed Frederick in 1916) during 1910-1916." 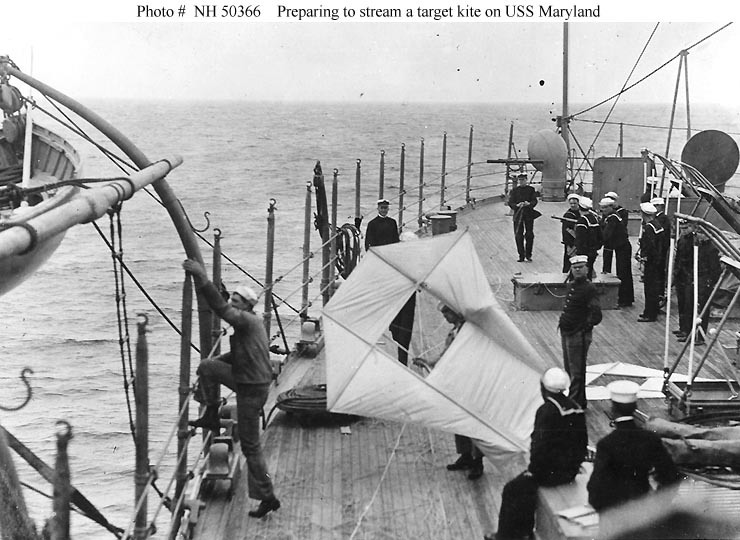 Target kite being prepared for streaming from the ship's after deck, circa 1912. Another kite is lying on the deck, to the right. What appears to be a Colt machine gun is mounted on the hatch beyond, with several Sailors around it, probably preparing to shoot at the kite. Note the Marine standing by, with his hands in his pockets. In April 2008 eBay offering, Juan won this photo. The description is "Original 1925 photograph taken from the deck of the US Navy destroyer USS Pillsbury". Thanks again to Juan Miguel Suay Belenguer for this nice contribution to the website. 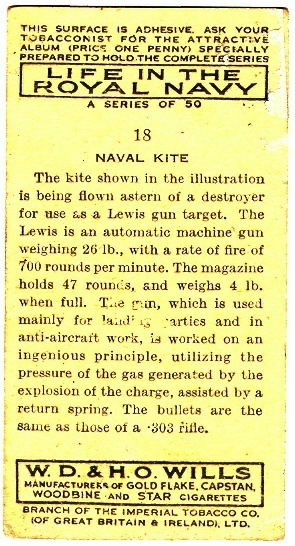 See also Juan's reproduction target kite.